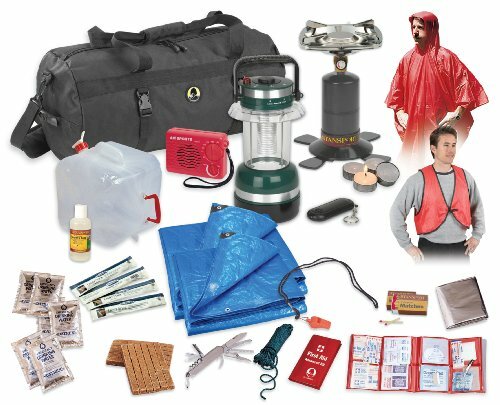 Our Hurricane/Earthquake/Flood Emergency Kit is a 34 piece kit that provides you with many of the essential elements for emergency preparedness. Also included is a 58 piece First Aid Kit. Everything fits in a sturdy cargo bag. Great for home, office or road travel.